Current turn around time for quilt finishing is 4-12 weeks! You have devoted money, time, and tender loving care to create a quilt top to be proud of, now let the Batty Quilter do the rest. I have been quilting for over 25 years and love the color and feel of fabric. I enjoy the mystery and artistry of making patterns come to life. I also love to hand quilt but it takes me months to finish one quilt. 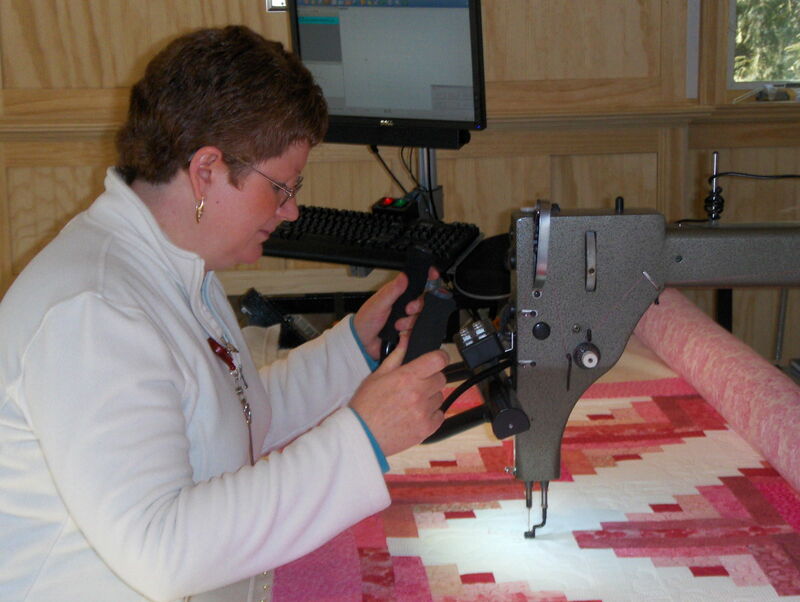 The answer is my Gammill Statler Stitcher Long Arm Quilting Machine. It enables me to do hand-guided free motion stitching, computerized pantographs, or custom-made designs. The professional finish my experience, and my machine gives, makes your quilt top come to life, and your creativity to have no limits. So trust me to do quilting that enhances your quilt and allows you to start your next masterpiece. All quilts will be treated with respect and care. Only quality products will be used in the completion of your quilt. Quilts will be finished in a timely manner.